Last Saturday, students, mentors, alumni and parents of Texas Torque met up in the LGI to watch the FIRST Robotics Competition game reveal. 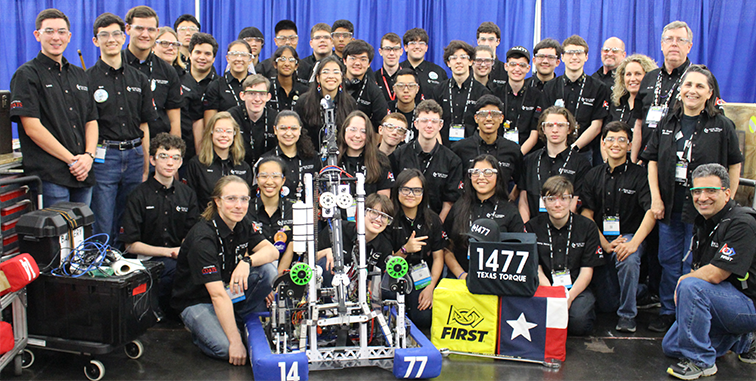 This much-anticipated webcast revealed the year’s challenge and marked the beginning of the 2018 FRC season. The game for this season is Power Up, an 8-bit themed game in which two teams of three robots compete to collect cubes to deliver to the vault, which contains three boosts (force, levitate, boost) that will help gain extra points for the match. Teams can also place these cubes onto a scale or one of the two switches on the field during the tele-op period. Additionally, robots must gain control of a switch and three baseline crosses during the autonomous period to get a ranking point, and attempt to climb a rung for an additional ranking point at the end of the match. The following video released by FIRST further explains the challenge. Following the exciting webcast, Texas Torque members spent next few hours brainstorming and getting a feel for the new game. Students collaborated with mentors and alumni to devise strategies to overcome Power Up’s unique challenges and to think up possible designs. 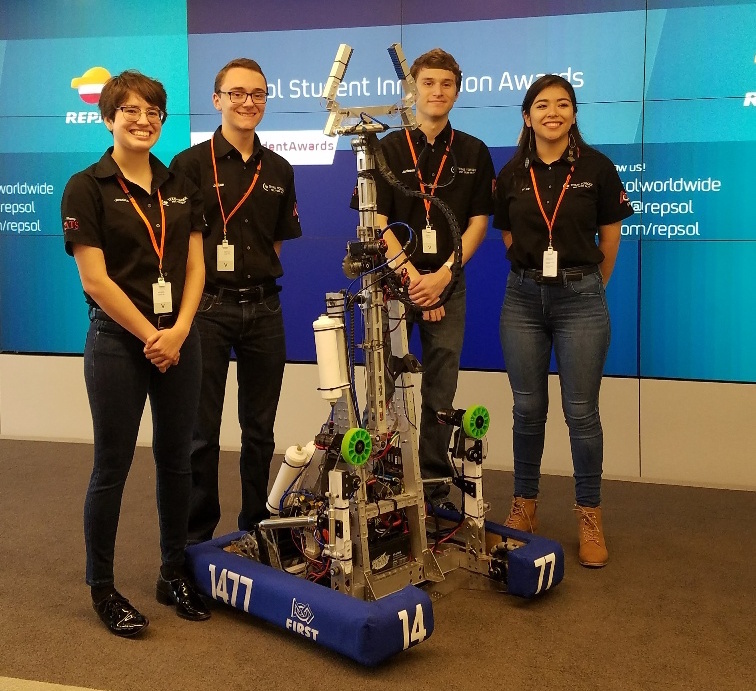 For the next six weeks, team members will work to design, prototype, construct and program a new robot for the season before the seven week competition season begins. Texas Torque wishes all teams the best of luck and hopes that everyone has fun this season!